The two beasts breathed heavily, locked together in laboring combat under the heat of the stadium lights. It was close, as both sides were down to their last Pokemon, but the Nidoking did not have the upperhand here. “We need to knock it out! Seize the moment with Focus Blast!” shouted the Federation champion. “Good fight,” Guy King half-whispered as he recalled his Pokemon. His opponent, Rodya Antonov, was basking in the cheers of the crowd. Guy didn’t particularly mind; win or lose, he still enjoyed Pokemon battling. There was no point in being sore about it. Antonov, however, was clearly enjoying himself. “And that is why we are better than the Federation!” There was some jeering at Guy now, but that happened whenever the home team won. Antonov continued to stoke the audience, then singled out the one person sitting in the second row not participating in the volume: a young school-age girl, sitting calmly and writing diligently into her notebook. “Da. For school. History paper,” the girl shouted back. Then again, some losses stung more than others. Guy simply turned around and walked off the stage towards Ambassador Smirnitsky. He was ready to go home. Guy walked into the diner and took a seat. It wasn’t crowded, but it had a good reputation among the locals— the perfect blend of good food and some peace and quiet. “I’ll have the usual, Jacob, thanks,” he said, leaning back and turning his head to the news. It was a record that could have just as easily belonged to Guy King. Prior to the Fifth Galactic Battling Championship, both combatants had won the championship once: King in ‘27 and then Antonov four years later. Guy had missed that one for his son’s college graduation. Whoever won this match would have been the first person to win the championship twice. And that winner ended up being Antonov. Wake at dawn. Eat. Feed his Pokemon. Hike up into the mountains. Clear all the wild Pokemon there. Then, get to work for real. Guy King’s routine had varied little since he came to Tau VI. At the moment he was thinking about the coming battle against his rival while his Nidoking used Earth Power to dislodge some rock chunks out of the mountain. In terms of battling styles, the two could not have been more different; Guy specialized in battling with one Pokemon at a time, usually his signature Pokemon, Nidoking, building up momentum as the battle raged on, pressing his advantages. Antonov, meanwhile, preferred to rotate through his team quickly and frequently over short periods of time. His Nidoking, having finished its work, moved into position. Guy sent out the rest of his Pokemon, and ordered them to begin benching the rocks, which proved to be quite difficult in Tau VI’s heightened gravity. Afterwards, they each hurled their rocks off the ledge, resulting in a hefty set of thuds a fair distance off. Peeking over the ledge, he saw that they landed marginally further than they had yesterday. He simply sighed. After a couple more hours, he decided to head back to the outpost to rest his weary Pokemon. Simone Perry was the woman the Galactic Battling Committee put in charge of organizing next year’s event, and she had come to this planet while on a break from venue searching. It had certainly proved to be a frustrating task, as last time the Romanovs hosted the championship in their new shiny and monumental stadium on their capital world Mir Zimoy. The structure itself was a marvel of engineering and its message had been quite clear. Now that it was the Federation’s turn to host, she had to find a way to one-up the Supremacy, or she would be letting a lot of people down. But that was neither here nor there at the moment, for she was visiting on request of a former champion. It was an opportunity of reprieve from her recent list of headaches, so she had agreed to meet him. After taking a skycar over the jungle valleys to the specified mountaintop, she found the man in question training his Pokemon. He appeared rugged and unkempt, sporting a wild and graying beard that made it difficult to recognize him as Guy King at first glance. After a brief introduction, they got down to business. Perry sat there thinking for a minute while King ordered his Pokemon to launch the boulders as far as they could. She casually glanced to see how far they went, and when her eyes ran down the long line of stones as it gradually got smaller and closer to the ledge, she saw a grin of satisfaction stretch across King’s face. Perry eyed the valley. It was a very primitive and rugged planet, all things considered, and she would never want to live here, but she had to admit the scenic view and crisp mountain air were quite pleasant. The nature was a nice change of pace from all of the sterile, high-tech facilities and venues she had visited over the last few months. The Sixth Galactic Battling Championship was perhaps the most anticipated match in the event’s two decade history. Both governments had agreed to a special grudge match between Guy King and Rodya Antonov, in commemoration of the 20th anniversary of the very first championship match back in ‘19. And so, KING V ANTONOV 3639 banners flew high over the portable venue constructed for the event. Airships with huge open window compartments containing audience seats filled with excited spectators floated over and around the mountaintop. On the actual surface rested a large, flat antigrav panel, with just enough power to compensate for Tau VI’s unusually strong gravity. Forcefield projectors acted as safety guards protecting anyone from falling over the edges. Guy responded with a thrown Pokeball and the match began. Guy sent out his Venusaur to scout, while Antonov matched with an Altaria. The humming Pokemon flared up its fluff to defend itself, but the Venusaur opened with a Toxic, poisoning the Pokemon through its defenses. The Altaria complied and positioned itself, then used Ominous Wind. A dark haze surrounded the arena, filling the Pokemon with an aura of power. The seed Pokemon, however, was filled only with pain. The Venusaur charged at the bird, expelling its venom, and the Altaria shrieked in agony. It’s piercing song hurt all of their ears, and Guy realized that both Pokemon would lose consciousness soon. The Venusaur moved to grapple, but the Altaria evaded the vines and flew up out of reach. An afterimage surrounded it as it used Substitute. The Substitute was still up, so Guy could not see what the Pokemon was, but it did not seem to take any damage from the Sludge Bomb. It must be a Steel type, then, he thought to himself. The mystery Pokemon stared the Venusaur down so that it could not escape the effects of the Perish Song. The Grass type threw down a colossal vine and the hit connected, but it didn’t do as much damage as he hoped it would and the Venusaur let out a cry as it fell to the song still ringing in its ears. Guy knew from his last match against Antonov that the man’s Pokemon gained strength from switching, that the trainer was capable of transferring effects in a manner similar to the move Baton Pass. But that momentum could be turned on itself, and Guy had caught a Pokemon since their last fight that could help him do exactly that. A strange energy surrounded the not-Altaria, and while Guy still couldn’t see through the afterimage, he could see his rival’s confident smirk turn upside down. It looks like your Pokemon wasn’t the only thing that went topsy-turvy, Guy quietly chuckled to himself. “Time to end this charade! Use Night Slash!” Antonov shotued. The two Pokemon collided, and the Substitute shattered, revealing a Bisharp! “Night Slash!” both men cried. The two Pokemon continued to duel one another with their jabs and slashes. 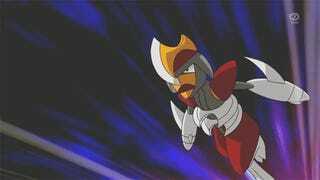 Once the Bisharp managed to parry the Malamar’s remaining uses of Superpower, the two were fairly evenly matched. Bisharp resisted Malamar’s available attacks, but it was also having trouble making any significant progress against the overturning Pokemon. Suddenly, Antonov swapped his Pokemon again. The debuffs from Topsy-Turvy carried over, limiting the damage Malmar received but it was still a fair hit. The Altaria then immediately fainted from its poison. Antonov sent out Bisharp again. Clever, Guy noted. He’s transferring debuffs to his Pokemon that’s already about to faint. Free from its afflictions, the Bisharp began to fare better. The Malamar was able to land a couple more hits, but it ultimately fell to the sword blade Pokemon. The Nidoking landed with a mighty roar and used Earth Power, taking the Bisharp down immediately. Antonov grimaced as he sent out his Ursaring. He’s out of Pokemon to swap with! The two beasts came at one another with a mighty ferocity, their deep snarls echoing over the mountaintops, drowning out even the cheers above. The platform shook under their weight as they each struggled with one another to gain the upper hand. Suddenly, the Ursaring threw a staggering Ice Punch right into Nidoking’s gut. It was a painful blow, but the drill Pokemon simply rolled with the hit, spinning into a counter-twirl and hitting back with a Focus Blast with plenty of momentum to spare. The fiery attack managed to hit the bear right where it hurt the most. The Nidoking roared triumphantly, gaining a second wind and shrugging off its injuries. It then began to use alternating attacks against the Ursaring, beating it back across the platform to the opposite edge. The Nidoking grabbed the Ursaring. The great bear landed an Ice Punch on its shoulder in response, but the signature Pokemon simply ignored the pain, focusing solely on its attack. It flipped the Ursaring over, and, in one solid motion, hurled the Pokemon back across the stage. There was a flash of light for a brief moment as the barriers strained to contain it, and then it slid back down onto the platform. It did not get back up. The audience above them erupted into cheers and applause. Antonov sighed and recalled his Pokemon, then walked up to Guy. A few seconds passed as the two men stared each other in the eyes. Antonov spoke. Guy smiled, and shook Rodya’s hand. 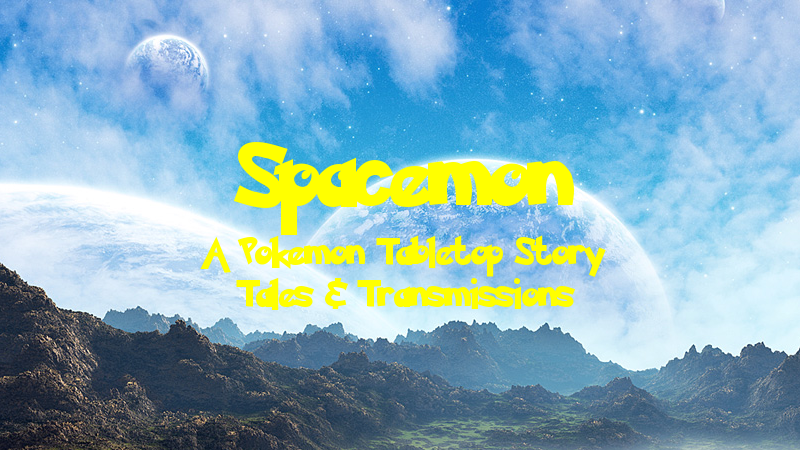 Editor’s Notes: DragonStorm247 wrote this one, inspired by my surprise announcement of Tales & Transmissions. We decided it’s easier if I have edit access to the TAY posts, so that’s why I’m posting this one. Now, I’ll turn it over to him to explain what this post is all about. Author’s Notes: I sort of just decided the write this spur of the moment and blitzkrieged it on my day off of work, but I had been thinking about the timeline between campaigns and the Galactic Battling Championship for some time now. Basically, the GBC happens every four years and is the only time the Federation and the Romanovs have any real diplomatic communications. It’s sort of like a mix of the Olympics, the World Chess Championship during the Cold War, and Rocky IV. Astute observers may have noticed a few nods and cameos; I hid a lot in here so try to find as many as you can! I wanted to really capture a professional match in writing with this. Not just the Pokemon but the trainers as well; in PTU characters can have trainer classes that influence their battling styles, and they can even make use of certain features and actions on their own to support their Pokemon. I built both trainers beforehand, selecting classes that both made for an interesting narrative as well as really contrasting with each other. Special thanks to DisturbedShadow for editing, and to my players and readers as well!